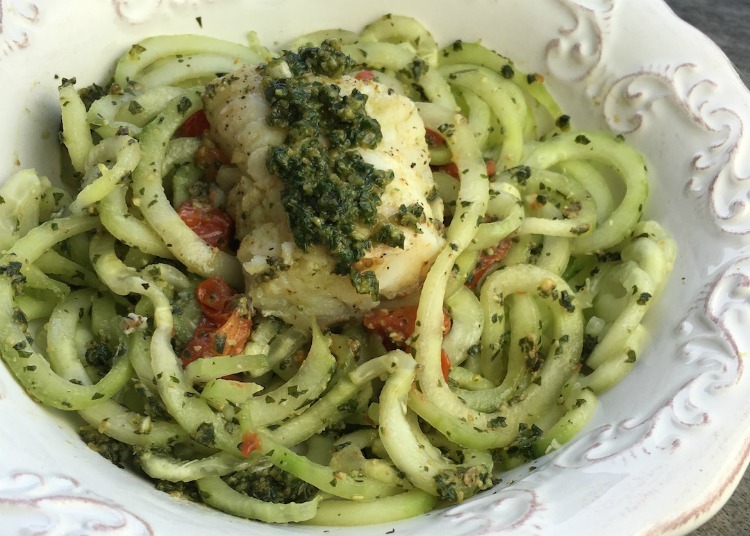 While a Low Carb Diet might not be for everyone, you can still enjoy a dish like Cucumber Noodles with Fresh Pesto in your life. Not only does the calorie count go down for the dish, but you also may find improved nutrition. A bonus is that you can more easily get in your 6 or more servings of vegetables for the day! This super easy low-carb dish is a great way to savor the delicious, natural flavors of fresh cucumber, basil, garlic, and toasted pine nuts. Enjoy this dish on its own, or top with your favorite lean protein, such as grilled chicken or steamed fish, for a more satisfying meal. Affiliate links to Amazon are present in this post. There is no cost to you for using them. 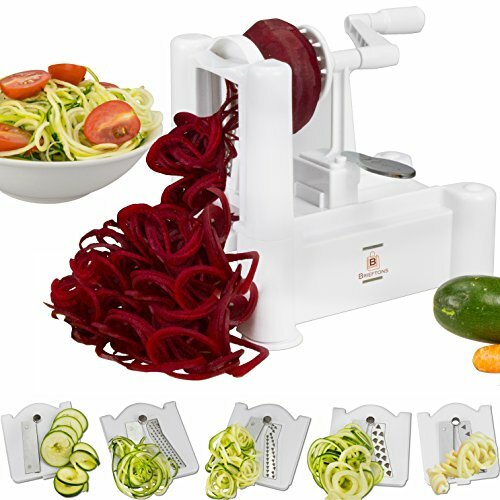 If you do not already have one, you will need to get a spiralizer. This is the easiest way to make vegetable ‘noodles’ in your own home. 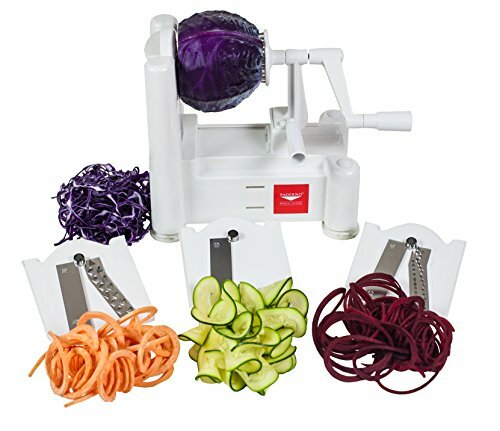 I reviewed the Brieftons 5-Blade Spiralizer this past year. I found it worked great for the softer vegetables I pushed through it. Once you get the hang of it, you can be creating those vegetable noodles in no time! There are many models available, but some are just created better than others. While some companies like KitchenAid offer an attachment, I have found that the freestanding ones work just as well for less money. This sentiment was also shared with me by a few chefs who teach cooking classes locally. Using a spiral slicer, cut cucumbers into thick, long noodles. If using the Paderno Tri-Blade Vegetable Spiral Slicer , use the medium “chipper” blade to create slightly thicker strands. Cut the noodles with kitchen scissors once they reach 10-12” long. Place cut noodles on paper or clean kitchen towels and gently blot to absorb excess moisture. Place cucumber noodles in a medium, non-reactive bowl and top with fresh pesto. Toss gently to combine. Season with salt and pepper, to taste, and serve immediately. 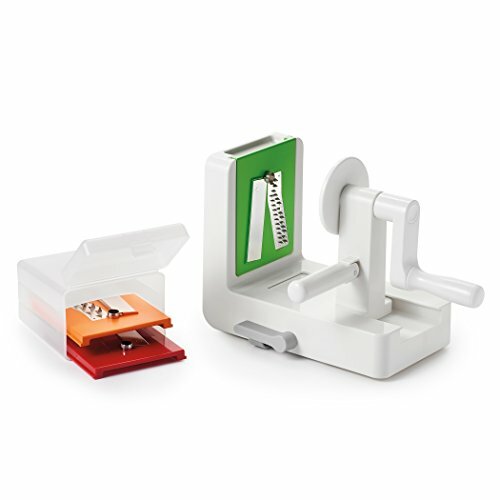 Do you have a spiral cutter in your home and use it? What types of spiral cut vegetables are your favorite? There is a Buick in line waiting for a drink. Does that count?